Online gambling laws can be complicated to grasp, especially if you live in Canada where it’s hard to know where you stand. The good news for Canadians is the law is definitely on your side, and there’s every encouragement to visit legal online casinos and play for real cash. On this page we’re going to break down the basics to make sure you stay inside the guidelines and don’t risk the wrath of the authorities. Are there legal casinos you can play from CA? What’s the difference between legal and illegal sites? CAN I REALLY FIND A LEGAL CASINO ONLINE IN CANADA? There's a bit of confusion surrounding whether the best legal casino online even exists in Canada. 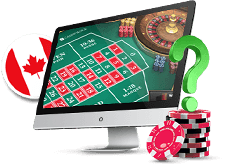 New Canadian web casino players wonder whether they're going to be charged for playing a few spins of real money roulette on the net. 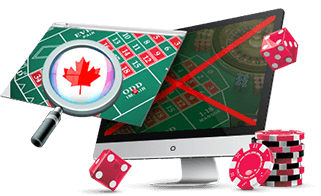 Canuck law in 2019 doesn't make it illegal to play online casino games; it simply makes it illegal for someone to operate an online casino from within Canada's borders, with the exception of the provincial governments. There are two types of legal casino online sites in Canada. You've got your government-run sites like the ones operated by the BC, Manitoba, and Quebec governments, and you've got websites that are open to residents of all 10 provinces and three territories. These sites are operated by private entities outside of Canada. Most of the private casinos are headquartered in Europe, Central America, or the Caribbean, but many actually have their servers located in Kahnawake, the Native reservation outside of Montreal. While the best government sites will boast that they're the only Canadian legit online casinos, the other properties are actually regulated by respected international government agencies. Bonuses. When you sign up to play at a new legal casino online, you'll be eligible to earn a match bonus on your real money deposit. Our audits reveal that the international betting sites are way more generous with their cash bonuses than the smaller provincial gambling rooms. 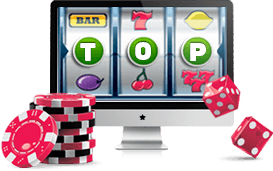 If you want a bigger bankroll off the bat, choose from the top legal casino online sites on our list. Promotions. The Canadian government is under tight control and has to do everything in their power to make it seem like they aren't encouraging online gambling. They definitely walk a slippery slope: on one hand they want to encourage people to play but on the other they don't want to look like they're rewarding them for playing too often. That's why ongoing promotions aren't really that great at the legit provincial online casinos. If you want better promotions and a more attractive loyalty program, choose an online casino legal to players in all provinces. Customer Service. Some of the so-called best legal casino online Canadian websites that are operated by the provinces actually offered really sub-par customer support. We're not even talking about quality of service, we're talking about their hours of operation. While most international legal casino online sites operate 24/7, some customer support departments run by the provincial casinos actually close at midnight. Considering a lot of web casino players enjoy a late-night game of real money roulette, that's not exactly a good thing. 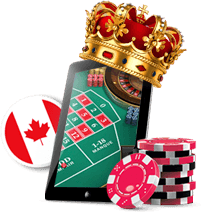 Our team of Canuck gambling online experts are respected pros with years of experience. Their opinions are valued because they've been there, done it and got the tee-shirt. When you choose a legit casino Internet site recommended in our team's guide, you know you're getting good customer support, top software and an unrivalled range of games. So, get going and choose an online casino - legal worries put to bed - and check out our comparisons and reviews of the top legal gambling websites. Then use the links to create your free account today. Canada players can earn a cash bonus on their first real money deposit, so sign up now. And yes, we scored the free money perfectly legally. Are online casinos and gambling legal in Canada? It’s illegal to set up and run an online casino in Canada unless regulated by the authorities. The government-approved sites that exist are completely legal to play at. You can also access real cash sites based internationally, which are regulated by their own agencies. Ultimately playing legally at an online casino is very easy to do and you can stay completely within the law. Is it the same across the country? Canada has some gambling laws set by distinct provinces and territories, so you need to check your local area to see how the laws specifically apply to where you live. The legal gambling age in Canada is 18, and that applies to online casino play too. Only those aged 18 or over are allowed to access real money casinos online. 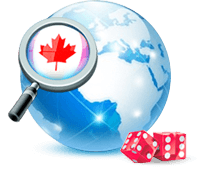 The Canadian government licenses and regulates a handful of online gambling destinations for real cash play. They do not regulate international sites, however, with licenses typically issued by the country in which the online casino keeps its main office. The key factor here appears to be whether funds earned by your gambling activity represents your primary income, and thus online gambling could be viewed as your job. If that’s the case, and you’re a professional gambler by trade, gambling winnings may be taxable by the Canadian government. If you’re just playing recreationally, however, you won’t be taxed on money you win at an online gambling site.